and I do not know what it is but I feel rather tired today,its been so cold and maybe its that other year I have just clocked up,but whatever it is I think it will be an early night lol!! Wonderful card, my friend! I love the vintage pic and the colors are perfect for the era! Oh, what a fun card! Love what you've done with Laura's sketch! Welcome to 2s4y!! 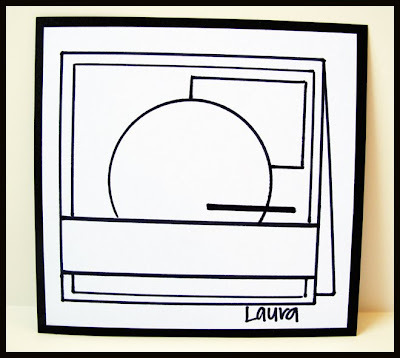 LOVE your interpretation of Laura's sketch!! Glad you found 2S4U! Cute card and great job with the sketch! love the vintage look! fabulous! That card is lovely, Rose! Just can't help being happy when I see it!